Authority was challenged in the 1500s, if not earlier. classical sources were being rediscovered and reapplied. Arab, Hindi and Chinese learning. 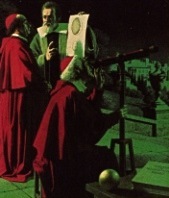 The investigations of Galileo come at a time of long turmoil for the faithful. "In the century which followed the writings of William of Occam the controversy over absolute papal authority in the church was spread far and wide through Europe, so that it became the subject of a vast popular debate." This was a period in which both secular and religious authorities were challenged because of how the Papacy behaved. Due to external changes in the world and internal demoralization of the Christian magisterium due to the Great Schism of eastern Orthodoxy from a western Papacy in 1054 and then the Avignon Papal "captivity" from 1309 -1377. With the coming of the Great Schism of 1378 -1417 another important source of spiritual guidance was further undermined. Then the growing wealth of the monasteries and the trafficking in holy indulgences brought into question long held beliefs about eternity, justice and commercialization of faith. By the start of the Reformation in 1517 the tarnished Roman faith was besieged by an appeal to scripture, writing, and texts rather than relying solely on traditions and blind faith. 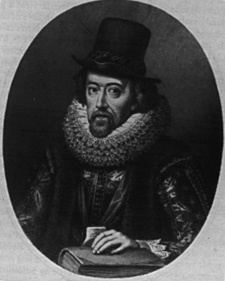 Francis Bacon and the book as source. Added to these numerous pressures came the perfidy of the Borgia and Medici Popes in Rome. Soon preachers such as John Huss, Giordan Bruno, and Martin Luther together with persuasive writers such as Erasmus, Calvin and Bacon, called for a radically different and new order. Works such as Descartes by proposing a method grounded in doubting and rejecting older concepts based on fallacies and superstitions were sought after as a means of discerning reliable knowledge. "many members of a population that found itself without leaders"
To many of these thinkers the new authority was based on reading, writing, experimentation, and measurable discoveries from the world around us. They sought to liberate the mind from corrupt or unsubstantiated authority of beliefs and opinions. Knowledge as accessible to any who might become literate and disciplined in their investigations. 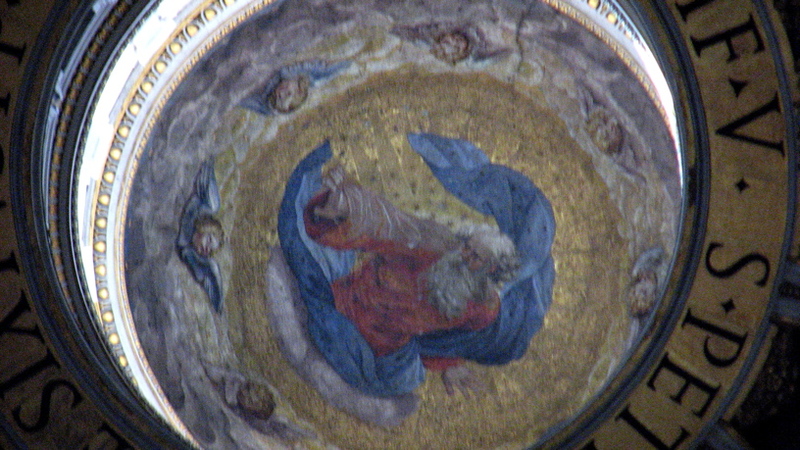 Kopernicus altered Ptolemy's way of accounting for the movement of heavenly bodies and a faith in those beliefs that was nearly 2000 years old. calculate planetary orbits from his observations. 1627, Kepler published the Tabulae Rudolphina, their series of observations. Without these complete series of observations of Tycho's unprecedented accuracy, Kepler could not have discovered that planets move in elliptical orbits. The formula for an ellipse Newton, later misplaced but reworked, shared with Edmond Halley who used it to predict the return of a comet in 1758-1759. So accurate was his calculated seventy-six year periodicity for this comet, that its faint glow had been observed initially on Christmas night in 1758 and brightened by March, 1759. This apparently confirmed Galileo's belief that "God speaks in the language of mathematics." 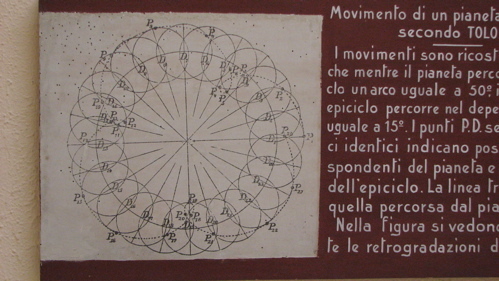 Ptolemy's epicycles to account for the ellipses formed by planetary motions. 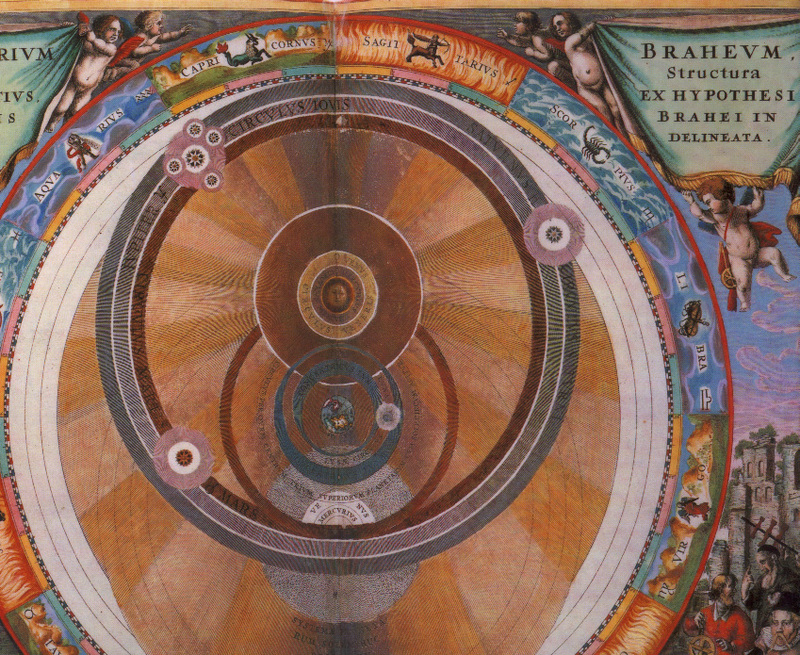 Brahe's synthesis was designed to account for both Ptolemy's and Copernicus' observed patterns of planets, comets and moon, that Brahe and Kepler were also carefully observing from 1580 on. If not one center or the other, then can there be numerous centers? 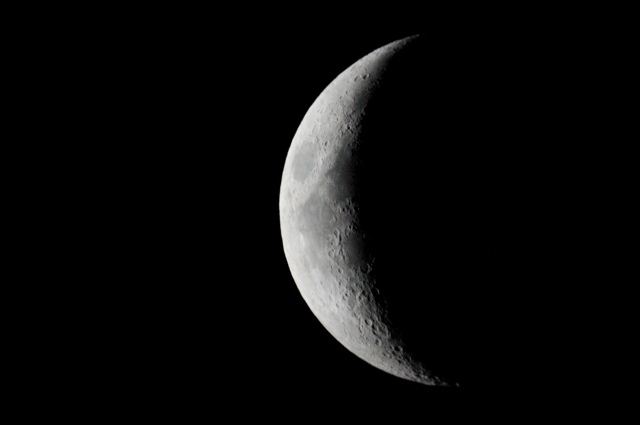 The Earth's moon moves through phases. 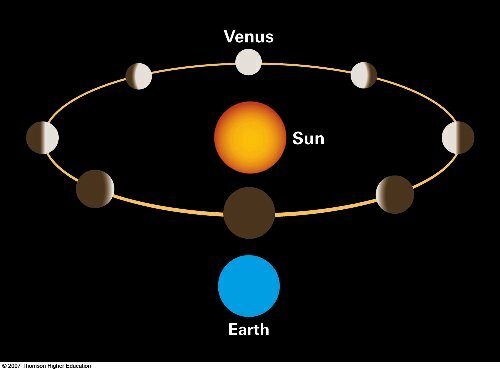 The planet's phases of Venus. The world was seen quite differently before Halley, Newton and Hooke. Pythagoras was the great ancient mathematical source of knowledge as was Euclid who through Vitruvius the architect and writer had left an enormous impression on practitioners and theorists alike. 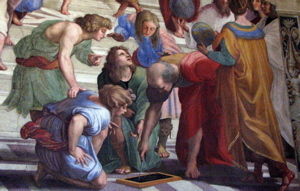 Pythagoras painted in a Vatican fresco by Raphael. Alas geometry alone could not conclusively assist Kepler in determining the proper order of the planets, the sun, the earth and the moon. 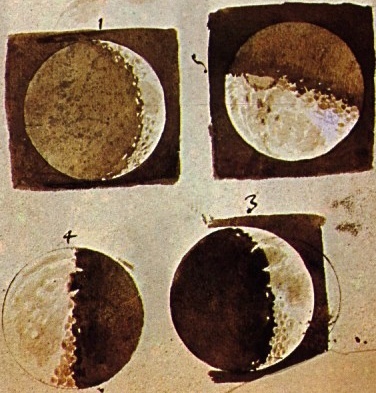 Galileo's sketches of the moon. Shadows on the moon appear as they would on Earthen mountain ranges and hills. conic sections and Tycho Brahe's charts for evidence. "Wedding of observation and theory presided over by necessary and sufficient data." Ptolemy, Brahe, Kopernicus, Kepler, and Galileo struggled to interpret this riddle of precisely where the earth and sun exist. The world is a collection of planets and stars but can so easily be lost among a figment of experiences -- consisting of an amalgam of the senses versus an abiding memory we seek to recall and in recovering reveals the signals of the cosmic origins–if only we know what to look for and what we are observing actually means. European views from a 1400s map of the world. "The European vision of the world in 1453, when Constantinople and the treasures of Byzantium slipped into the past, forever held by the Turkish, Arab and Muslim world, causing an exodus of Greek, Latin and Near Eastern scholars to the west." The fall of Constantinople to the Turkish Sultan in 1453 was believed to be a turning point and still remains an intellectual watershed in the history of arts, ideas and transfer of technology from Asia to Europe. 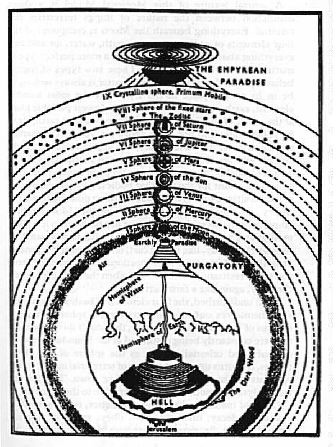 Dante Alighieri (1265-1321) the great Italian poet described a world in which he argued for divine justice envisioning a cosmic order centered on hell as depicted in this graphical display. The Divine Comedy. 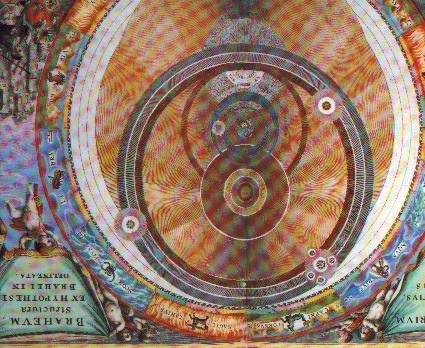 Dante Alighieri's 11th century view of the world. 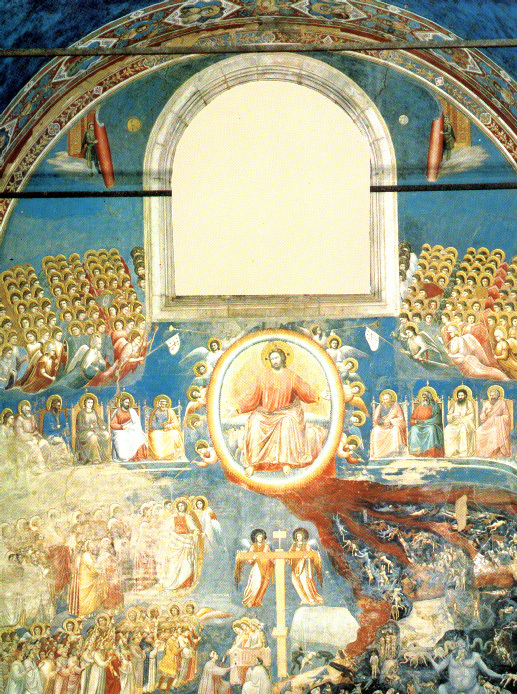 The last judgment by Giotto di Bondone (c. 1267 - 1337) the Florentine painter and architect. Fresco Padua Arena Chapel c.1306, Italy. But "What Galileo said" and "What Brecht said about the icon, Galileo" are two different but perhaps complementary visions of the same underlying error in human judgment. A sort of hubris runs through all knowledge, but the knowledge of the heavens particularly divides the timid from the aggressive mind, the radical and tempered curiosity from the dilettantish and enthusiastic "busy" mind. But this story, lest we pervert it's real meaning, is not about what we know or think we know as much as it is about what we are allowed to know and what we are permitted to examine, analyze, discuss and exchange in the "free marketplace of ideas" that was so dear to John Milton. What are we allowed to know? Under the Julian calendar one day is lost every 128 years. "By about 700 CE it had become customary to count years from the starting point of the birth of Christ (later corrected by Johannes Kepler to 4 BCE). But the equinox kept slipping backwards on the calendar one full day every 130 years. By 1500 the vernal equinox fell on the 10th or 11th of March and the autumnal equinox on the 13th or 14th of September, and the situation was increasingly seen as a scandal." That was because the movement of the heavens was not tracked accurately by the prevailing calendar. "After several false starts, a commission under the leadership of the Jesuit mathematician and astronomer Christopher Clavius (1537-1612) succeeded. Several technical changes were instituted having to do with the calculation of Easter, but the main change was simple. In 1582 Pope Gregory XIII (hence the name Gregorian Calendar) ordered ten days to be dropped from October, thus restoring the vernal equinox at least to an average of the 20th of March, close to what it had been at the time of the Council of Nicea. In order to correct for the loss of one day every 130 years, the new calendar dropped three leap years every 400 years."